Abstract: Hydrocarbon exploration in the Bernhardsthal and Bernhardsthal-Sued oil fields documents an up to 2000 m thick succession of middle and upper Badenian deposits in this part of the northern Vienna Basin (Austria). 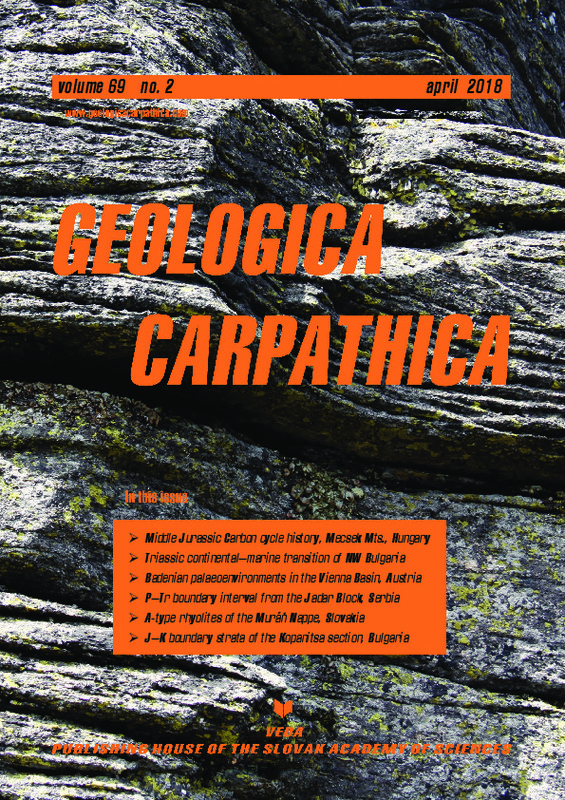 Based on palaeontological analyses of core-samples, well-log data and seismic surveys we propose an integrated stratigraphy and describe the depositional environments. As the middle/late Badenian boundary is correlated with the Langhian/Serravallian boundary, the cores capture the crucial phase of the Middle Miocene Climate Transition. The middle Badenian starts with a major transgression leading to outer neritic to upper bathyal conditions in the northern Vienna Basin, indicated by Bathysiphon-assemblages and glass-sponges. A strong palaeo-relief and rapid synsedimentary subsidence accentuated sedimentation during this phase. The middle/late Badenian boundary coincides with a major drop of relative sea level by about 200 m, resulting in a rapid shift from deeper marine depositional environments to coastal and freshwater swamps. In coeval marine settings, a more than 100 m thick unit of anhydrite-bearing clay formed. This is the first evidence of evaporite precipitation during the Badenian Salinity Crisis in the Vienna Basin. Shallow lagoonal environments with diverse and fully marine mollusc and fish assemblages were established during the sub­sequent late Badenian re-flooding. In composition, the mollusc fauna differs considerably from older ones and is ­characterized by the sudden appearance of species with eastern Paratethyan affinities.